The object of adaptation is to change the subject in order to make it better suited for a new, or alternative purpose. Adapting a book into a movie, is not so much about faithful representation of the text as it is about capturing the subtext in away that makes better sense within a whole new system of parameters. The film Adaptation, written by Charlie Kaufman, explores the meaning of the word and its application to screenwriting in a beautifully profound way. Historically, the movie version has been scorned, or at least widely accepted as the inferior of the pair when evaluated against it’s source material. The sad truth of it is that the requisite of a film adaptation is putting at least one, more likely about a dozen or more middlemen between the author and his audience. When you read a book, you are free to interpret and envision the story as you like with no one else weighing in. you cast your characters and direct your own movie. You get to have your own way all the time, no questions asked. Of course it will be infuriating for you, when you go see a movie based on your favorite book and some guy you’ve never heard of is making knock-offs of the “real” characters give an inaccurate account with all of the important parts missing and an agenda that never before existed. 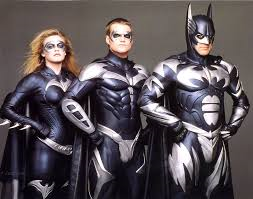 I wonder if Warner Brothers ever considered giving Clooney another crack at the cape and cowel before going to Affleck. It used to be, that when something like that happened, it was your one chance to see this story portrayed in your lifetime. Now, even the word remake has been adapted to the point where one take on a property can be run into the ground and “rebooted” in only a couple of years time. It’s an exciting thing to see, like the countless versions of “A Midsummer Night’s Dream” you are likely to see crop up year after year, new interpretations of popular literature have the potential to inspire and inform not just a brand new audience, but also the same old one in different and even more powerful ways. A book has its own properties, as a book. It can tell a story in a way that is impossible for film. That’s why it has to be adapted. But when a person with vision sees a way to tell the story visually, they have the opportunity to exhibit the version of the book that means something to them, and a responsibility to be true to that vision. A good adaptation will lose some things from the book, but replace them with scenes that contribute to the story in a similar capacity, and will hopefully include little to no narration. A book faithfully adapted into a film is a tightrope walk that is also extremely subjective. The less a filmmaker is willing to make changes to the source material, the more danger there is of making a terrible movie. When you adapt a book to film, you must ask yourself if you are tying to replace, the book, or supplement it, discuss it, or explain it. There is a good approach and a bad one. The book will not be replaced. More people may see the movie, but it is not a substitute for the original and with luck, a more artistically gutsy version will hit theaters within a decade that will replace your forgotten experiment, while the book in question is still selling. The new film may have less in common with the book, with various omissions and gender changes, a reworking of the story’s end, but it will succeed in sharing a vision that perhaps the book only alludes to for some, and it will be a far superior movie, because it was skillfully adapted to accomplish the goal, not of making a movie version of such and such, but of telling a great story. Of course this is all hypothetical. The bold, aggressive interpretation could be terrible as well. So what is the right way and the wrong way to adapt a book into a movie. Why did Jurassic Park work when Congo Didn’t? 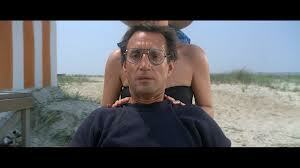 Why makes Jaws such an effective retelling of Peter Benchley’s story. Why is Lord of the Rings so beloved? 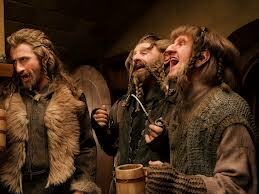 and is it appropriate to take the trilogy approach in adapting The Hobbit? Jurassic Park, seems like it’s easy to explain, by the fact that Crichton is a credited writer of the screenplay. He was not only a novelist, but had real screenwriting experience and was quite good at both forms. he also wrote his books in a way that sort of lent themselves nicely to becoming movies, yet, even his own script departed from the source material in order to better tell his story through a new medium. When he wrote the sequel, but did not return as a screenwriter, the adaptation suffered horribly, despite his quite obvious intentions when writing the novel of seeing it come to life on the big screen. For example, Ian Malcom clearly died at the end of the novel Jurassic Park, yet he lives in the movie and is made the most popular character, by Jeff Goldblum’s portrayal, so he is written in as the lead in the new story, despite his apparent demise. His foresight and obvious intentions were missed however when David Koeppe took a stab ad the adaptation himself. He kept Ian Malcom, of course, but managed to take the story in a bizarrely inappropriate tangent, rendering the film the worst of the three films even though it focused on the world’s most popular chaotician and the third one didn’t even have a book as its basis. Congo, on the other hand was something I was anticipating like it was Christmas. 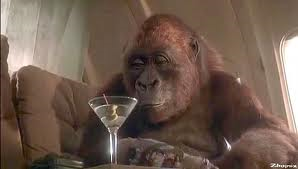 After Jurassic Park turned me on to Crichton I read Congo and saw the trailer as nothing short of an epic and very literal translation of the book. I just didn’t know that translation would come through a computerized voice in the hi-tech gloves of a signing gorilla. Amy is a gorilla who communicates with her owner Peter through sign language. For some reason it was decided that it would be best for her to sport an accessory that would translate the signs to English. The gambit did not work. Arbitrary changes also were made, such as the nightmares about Zinj that Amy would have and the name of the company. The gray gorillas rather than being trained guard dogs with stone paddles, somehow became marshal artists with excessively silly choreography in what should have been brutally horrifying attacks. In the book, Amy helps the research team to decipher the new species’ language and use it against them. In the movie, they use the diamonds they are after in Zinj to make laser guns. Almost all of the changes made in Congo, either senselessly deviated from the book or deliberately detracted from the stories original intent with no apparent merit. Jurassic Park had its deviations, but only when it was essential to the strength of the story. Jaws is based on the novel by Peter Benchley but the film is a drastic departure from the source material, mostly due to all that is left out of the final story. By virtue of such omissions, the characters are freed up a little from their interpersonal conflicts and a more satisfying Casablanca ending is allowed to replace the novels finale. 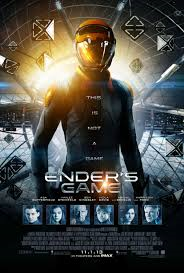 The movie version is streamlined and purposeful, which allows extensive subplots to be disposed of. Just enough information is used to support the spine of the story and keep it paced appropriately. The threat of losing tourism money by closing down the beach is enough of a problem to work with, pitting the sheriff against the mayor and setting up the need to hunt down the shark. Once Brody, Hooper, and Quint leave the port they remain out at sea until the deadly show down with the killer shark. It makes for a much needed act break that would be less effective if the boys returned home night after night. The journey toward respect between Hooper and Quint, who start off as rivals is enough of a sub-current to the main plot to fill out the story without overcomplicating it with the jealousy that originally plagues sheriff Brody in the book. In addition to the narrow focus of the adaptation, improv between the characters, added a sense of realism and charm to the movie that nonchalantly juxtaposes a casual atmosphere with a tense drama. I’m trying to suspend my disbelief and desire for an escalating plot with the promise of some sort of resolution, but you gotta work with me a little, here. Lord of the Rings is a trilogy that aims to be faithful to the beloved classics and spares no running time in capturing as much of the original stories as possible in the beautiful New Zealand locations that realize Middle Earth in a way that it never before could be. The work must have been painstaking but the goal was clear. The goal of The Hobbit, however, is much less noble and the adaptation suffers greatly. Rather than truly adapt the story for film, a single book is broken down into episodes. It is a grab for more box office dollars that pretends to be an aesthetic choice to match the original trilogy. While the second installment The Desolation of Smaug may have enough content to be an entertaining movie it is merely a second act without a beginning or an end. Compared to the first Star Wars trilogy it may that the story becomes a favorite of the fans and due to the third film having an obvious conclusion, fans may argue over which one is best, just as fans argue about Empire vs. Jedi. But the similarities end rather abruptly at that point. Empire is part of an ongoing saga and The Desolation of Smaug will literally be the middle section of a full story. A New Hope is smaller in scope than the others, and while it mainly just introduces the characters, it does have a definite beginning middle and end that tells a complete heroes journey. The Hobbit: An Unexpected Journey fills its running time awkwardly and fails to portray the reverence of the trilogy before it. Instead, the ultra-fantastic hyper-colorful scenery takes away from the initial world that was created for middle Earth, and with little urgency for most of the film’s running time, the characters are made to wallow in artificial splendor that stretches the prowess of their acting capabilities uncomfortably thin. There is a self awareness that bleeds through the performances, as they try all too hard to believe it’s working. An adaptation should always be about what will make the book translate to screen in the best way. Sometimes you have to strip it down, dress it up, make it more accessible, more satisfying, more entertaining, but always in the name of story. A faithful adaptation that does not make the necessary steps to change for it’s audience is not doing justice to the author. Jackie Brown is an adaptation of Elmore Leonard’s Rum Punch. Leonard is a frequently adapted author and while more artistic liberties were taken with Tarantino’s film than any other, the author himself considered it to be the most faithful. When I was a young movie obsessed teen my passion for learning how movies are made continued to push me behind the scenes, even as my love for the spotlight took full bloom. The thrill of the stage was all I cared about and the prospect of stepping into any number of characters and situations and exploring the possibilities was too exciting for me. I loved saying things I wouldn’t normally say. I loved making people believe I was who I said I was. Mostly though, I loved making people laugh and I was always thinking up ways to squeeze out another reaction from the crowd. No one had to tell me there are no small parts. Those were the ones that always intrigued me the most, but the responsibility to carry a show as the lead was also something I thankfully got to have a taste of. When I wasn’t in reheasals I spent a lot of time on my family’s brand new Gateway computer, playing a game called Steven Spielberg’s Director’s Chair. I learned so much about the process by experimenting with the game, which lets you make a movie from script writing to production, editing, foley, scoring, and finally screening. 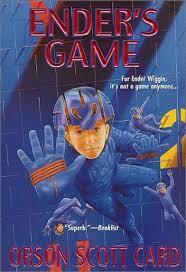 The game was also my very first introduction to an actor whose work in film would change me forever. He was the funny, charismatic, and brilliant Quentin Tarantino. I can’t say enough great things about Quentin Tarantino. I love to hear the man speak. He is so positive and almost always has something constructive to say. He is a champion of the art of directing and also of screenwriting. He has an uplifting and productive attitude about what others are trying to accomplish. Meanwhile, he can take the most basic formula and elevate it to its most extravagant form. Tarantino is a man who understands potential and taps into the simplest truths that flow throughout the most complicated compositions. His work is art, a feat quite difficult in the entertainment industry, especially in regards to such consistency of quality and value. Quentin Tarantino is an incredibly talented writer and a remarkably skilled director. His latest film Django Unchained shows seasoning on a filmmaker whose directorial debut Reservoir Dogs helped to begin a revival of independent film, and whose award winning sophomore effort Pulp Fiction became an instant classic. The man can be a bit awkward. There is a sense of something sort of alien about him– Like he studied everything about our planet by watching movies– and yet he seems so warm and enthusiastic and has genuinely interesting things to say. I love to hear Tarantino talk about anything. Whether he is defending his movie against ignorant, ratings hungry vultures, talking simply about what interests him, or threatening paparazzi, a youtube search always gives me the fix I need. Tarantino belongs in the spotlight. He provides terrific interviews and deserves to be a star. He can do just about any thing he wants and yet has not lost his way as a filmmaker. Success is a killer. You either get your way all the time and lose track of what works, or you become paralyzed at the thought of making a false step and do only what you think will be accepted. Tarantino has shown himself to be neither timid, nor arrogant in his pursuit to make beautiful, smart and enjoyable films. Even Hitchcock, “Master of Suspense” has his duds. He’s really only known for about three movies. If you really like him you know of three more. Even great film makers who always turn out really good movies, rarely achieve the timelessness and sophistication that Tarantino always brings to the table. Whether he’s really great at listening to the right people, or just a naturally exceptional self editor. He manages to always make his movie, the way he wants to see it, and it always comes out a hit. Lots of names will draw me to a theater, many with high expectations: But not only am I never disappointed with the work Tarantino puts out, I savor it with joy. Before I even appreciated him as a director I was drawn to him as a writer. The whole idea of Tarantino as this defiant screenwriter out to change the way movies were written didn’t quite match up with my perception. When I was first studying screenwriting it seemed like everyone around me was determined to learn nothing in an attempt to be original. When we got an assignment to examine structure in one of our favorite movies I chose Reservoir Dogs, just to show how textbook it was when viewed through the right lens. Like every other assignment in the course, I passed with flying colors. It was one of the few situations I found myself in where my odd way of looking at things finally paid off. I once had a writing teacher, who tried to say Longfellow was wrong to use the metaphor of footprints in sand for A Psalm of Life to symbolize leaving ones mark in history, because sand gets washed away and has no permanence. I was the quiet kid who (let’s face it) usually wasn’t paying any attention, but I couldn’t let it go uncontested. I explained “my take” on the poem, to which she quite seriously replied that I had given the author too much credit. She was the embodiment of the minds over the years that I refused to let shape me. 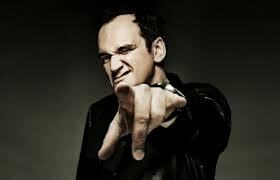 If Tarantino had taken any college courses in writing, I wonder if he would have been discouraged, But that defiance, that rebelliousness so readily attributed to a high school drop out serves only to undermine the genius of an artist who has seriously done his homework. A true student of film from all over the world, Tarantino jeopardized a possible acting career by taking a steady job at Video Archives, a rental store in Manhattan Beach, California. There his expertise grew and flourished as he soaked up inspiration that would fuel one of the brightest burning talents the film industry would ever know. It’s also where he met the Co-writer of Pulp Fiction, Roger Avery. My first introduction to Tarantino as a writer, was From Dusk ‘Til Dawn, directed by his friend Robert Rodriguez. If Hitchcock is the Master of Suspense, I strongly believe Tarantino should go down in history as the master of Tension. It may not go noticed because he has so many strengths in structure, dialogue, visual style… but take key scenes from Inglorious Basterds, Reservoir Dogs, and From Dusk ‘Til Dawn. Even if it’s just two people talking, you know something is going to happen. You may not know what, but something big is about to go down, and Tarantino knows, more than anything else, how to build on that until the perfect moment. In the first scene of my first movie written by tarantino I was scared. It’s just a Sherriff chewing the fat with a convenience store clerk, but it’s eerie as hell and before anything even happens you know something is going down. The prologue to Reservoir Dogs is the same way. It’s uneasy. All these guys sitting around the table, they’re bad guys and they don’t really know each other, when Mr. Blonde playfully shoots Mr. White, you get the distinct impression he might actually do it for realsies. It sets a remarkable tone for the rest of the film. Prior to his meteoric rise to stardom and international acclaim he penned the scripts for True Romance (which came out the year after Reservoir Dogs with a star studded cast featuring appearances by Christopher Walken, Bradd Pitt, Dennis Hopper, Samuel L Jackson, Gary Oldman and Balki from Mypos) and Natural Born Killers. both were reworked but the first (directed by Tony Scott) was truer to Tarantino’s vision than the latter. Still an actor at heart, Tarantino wrote the part of Mr. Pink for himself, even warned Buscemi that his audition better be “really good” In the end, Buscemi is just pasty skinned awesome sauce and Tarantino had to admit defeat, he still got a part, though, and still likes to give himself those little cameos which endears him to me even more than if he had subtle appearances as an extra or withdrew from the stage altogether. As a director, he is able to effectively translate his own writing for the audience, better than anyone else could. He pushes boundaries, fuses genres and is very visually dynamic, which compliments his vast content and well defined characters. His one adaptation, Jackie Brown, came hot on the heels of Pulp Fiction and though it was different from Pulp Fiction in the sense that Unbreakable was different from The Sixth Sense, It is was considered by Elmore Leonard to be the best adaptation of his work out of 26 films. A fan of Leonard, Tarantino was able to be true to the author’s work and make it undoubtedly his own in the process. Clearly He has fun at his work and at the same time, takes it seriously and wants it done right. I don’t know how he strikes that magical balance of whimsy and restraint. There has been a lot of talk about his retirement, partially, due to the rise of digital projection. So dedicated is he to film that he bought a building housing the New Beverly Cinema to save it from redevelopment and ensure the theater will continue to use traditional projectors. He has said he plans to retire from film and become an author after the age of sixty, which would give us ten years and possibly two more films; But he also said he could stop at any time, though he thinks ten films provides a nice aesthetic for his filmography. He’s very dedicated to his own resume and doesn’t want to make a film that doesn’t belong there. You have to respect that. He seems to believe a director ages like wine– in terms of vinegar. I value that insight, except Django Unchained really showed off the fact that Tarantino has not only still got it, he’s better than ever. I can see how that sort of diligence and commitment to making an exceptional film would lead someone to thoughts of retirement, especially in interviews immediately following the film’s release. I know the Kill Bill films were something Quentin kind of thought of as a book and he has been interested in making a Volume 3, though he eventually said another film in the series is unlikely. Perhaps, when he does make the transition to author it will take the form of a novel. Since Michael Crichton passed, I have been on the lookout for a new author. I can’t say I won’t be sorry for the loss as far as film is concerned, but I will always celebrate his contributions with much enthusiasm and I view Quentin Tarantino as the greatest inspiration and his career the height of cinematic achievement.